1. Settlers capitalized on Henderson’s unique riverfront location to mass produce and ship tobacco all over the world. But in reality, Native Americans had been farming tobacco in the area long before settlers arrived. 2. 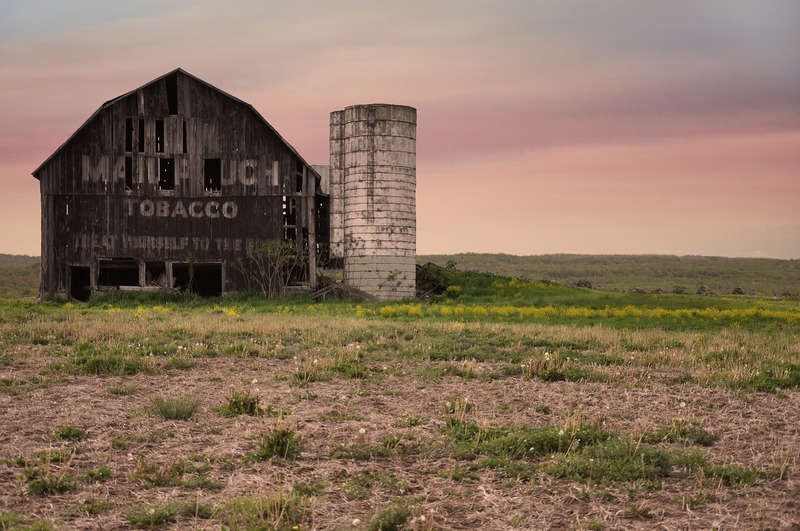 In 1801, Henderson was designated as one of Kentucky’s state tobacco inspection ports, which meant tobacco from a large surrounding area passed through Henderson. 3. Henderson cultivated a dark tobacco that was popular in Europe and Great Britain. The booming exportation made Henderson the largest dark tobacco producer in the world. Representatives from Glasgow, London and Liverpool not only relocated to Henderson to establish headquarters, but also made their homes in Henderson and became an integral part of the population. 4. Around 1880, Henderson had 17 stemmeries in the city and 18 in the county. Stemmeries were where tobacco was stripped from its stem and made ready for use. 5. 75 years after Henderson was established, the town became the largest strip tobacco market in the world, and it was said the Henderson had more millionaires per capita living in the town than any other city in the United States. 6. The wealth spread throughout the community, which led to the construction of beautiful 19th century homes and buildings, many of which are still standing in Henderson’s historic downtown. 7. Tobacco products have evolved over the years. Rope tobacco, or tobacco twists, used to be the most common form of finished tobacco products. You can see a tobacco twist that is over 150 years old, along with other tobacco history, at the Community Room Museum in the Depot Building at 101 N. Water Street in Henderson, Ky. If you enjoyed this blog post, sign up to receive a new blog each week in our Monday E-newsletter.